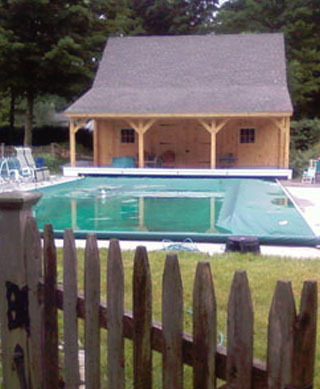 Post & Beam Homes was incorporated in 1976 and has had the privilege of manufacturing custom designed post and beam homes throughout the northeast. 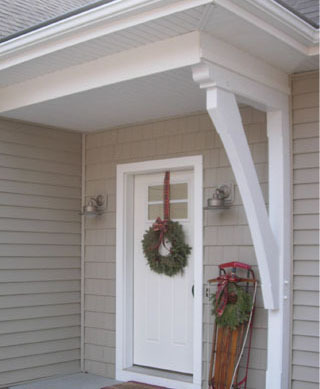 Our company manufactures the highest quality post and beam frames and home packages in the industry. Our frames are handcrafted using time-honored joinery in our East Hampton workshop. The timber frames are planed smooth with chamfered edges which lends to a more formal appearance. The choices of our most popular timber framing materials are eastern white pine, red or white oak and Douglas fir. Our homes offer the latest state-of-the art expanded polystyrene Stress-Skin wall and roof insulation panels. We Prepare our insulation system in a fashion that maximizes both energy a space savings. Our system is also fitted with electrical wire chases that will allow you to install electrical service to any area of your exterior walls anytime in the future. All of Post and Beam Homes, Inc frames are hand crafted using time honored joinery as well as our patented “scarf joint” which connects two horizontal timbers over a post without seeing any unsightly cuts. While Post & Beam Homes offers high-end pre-designed home packages, each floor plan has been uniquely developed to stand apart from the conventional home. As manufacturers of one of the best quality post and beam frames and packages in the industry, we find our product is priced competitively. We are constantly striving to make our quality Post & Beam Homes affordable for everyone! To learn more about our packages and services contact us today or click here for a free quote! provides services throughout Middlesex County in Connecticut including East Hampton, Middletown, Haddam, Old Saybrook and throughout the rest of the state.